Tokelau is generating 100% of its electricity from solar. October 27, 2013—-What is a Tokelauan you might be wondering? 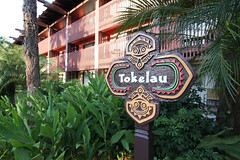 Tokelau is a territory of New Zealand in the South Pacific, between New Zealand and Hawaii. It is approximately 4 square miles and has the world’s smallest population–1,411 people. Most of the islanders live by subsistance farming, they grow what they eat–master gardeners! Why is this island important? Global Warming and climate change is a problem for small island nations such as Tokelau. Being so small, they feel the greater impact of extreme weather and rising sea levels. In October, 2012, Tokelau became the first country in the world to produce 100% of its electricity from the sun, funded by New Zealand! This is a step towards saving our Planet Earth, with over 625 tons of greenhouse gases NOT being emitted into our atmosphere! Categories: Solar | Tags: Bill McKibben, David Sheppard, Fossil fuel, Hawaii, New Zealand, Renewable energy, solar, Solar power, Tokelau, Tokelauan language | Permalink.